The Pacific Symphony, in its hall debut, played Philip Glass and the Grand Rapids Symphony dove into Brazilian music in back-to-back concerts. "The Pacific Symphony, making its Carnegie debut, had the good fortune to be presented by the hall itself, as part of a season-long series of concerts centering on Philip Glass, who currently occupies Carnegie’s composer’s chair....The performance was excellent, with the orchestra sounding like a major ensemble; excellent singing from the chorus; and fine work by the baritone Christòpheren Nomura and the soprano Elissa Johnston, especially lovely as the Mother of the Universe." "For hockey players, it’s all about hoisting the Stanley Cup. For lawyers, it’s arguing a case before the Supreme Court. Mountaineers have Everest to climb. For musicians, the ultimate dream is playing Carnegie Hall. And members of Orange County’s Pacific Symphony, which made its debut at the venerable New York institution on Saturday, made it clear that playing there is an unmatchable thrill for musicians of any age." "St.Clair and his orchestra were equal to the surroundings on Saturday. The performance...was everything they could have hoped for. 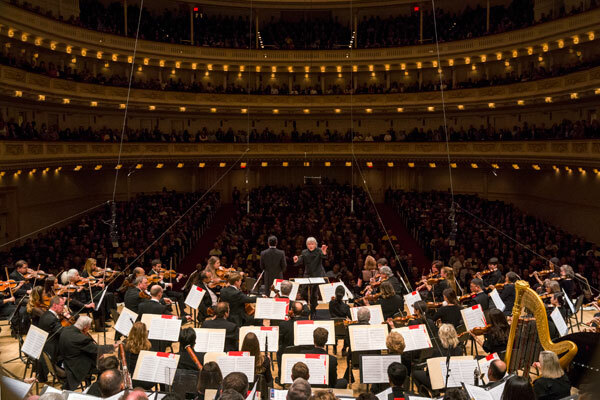 Carnegie Hall’s lustrous acoustics balance clarity with enveloping warmth – a perfect environment for complex symphonic music." "Philip Glass, often considered the foremost living US composer, has credited India with helping form his musical vision... 'The Passion of Ramakrishna,' an oratorio by Glass on the final days of the revered guru, found a new audience with its New York debut Saturday night at Carnegie Hall, closing a season of concerts to mark the composer's 80th birthday. 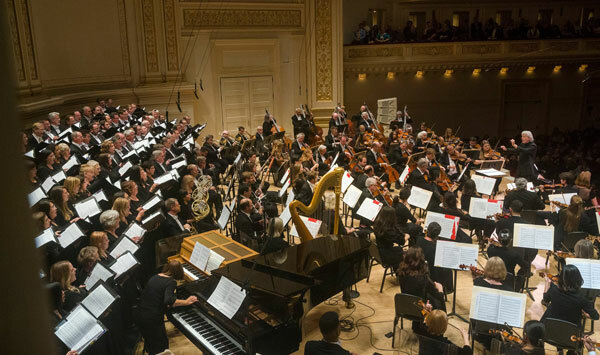 The Pacific Symphony, which premiered 'The Passion of Ramakrishna' in 2006 at its home in southern California's Orange County, brought the work to New York in the Carnegie Hall debut for the 39-year-old orchestra that has emphasized original choral works. Philip Glass and Ravi Shankar at Carnegie. Pacific Symphony stunning. "Philip Glass holds the Debs Composer’s Chair at Carnegie Hall for this season. A concert honoring his work was performed by the splendid Pacific Symphony. Carl St. Clair conducted. He has been the music director of this symphony for decades. The performance made the benefits of consistent leadership over time clear." 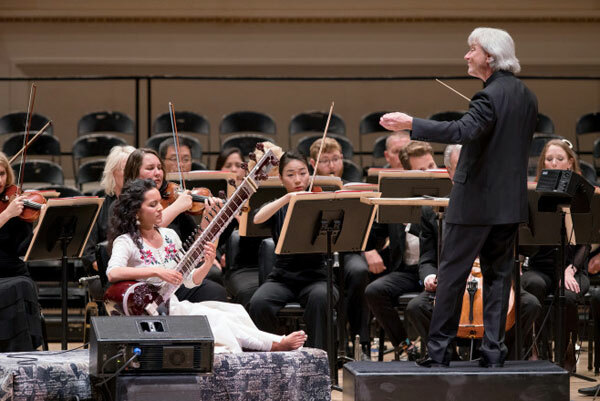 Pacific Symphony Makes Its Carnegie Hall Debut, with Sitar. "The Texas-born conductor is about to take the full orchestra on tour to China, but first he brought it to New York on Saturday night for its Carnegie Hall debut. On the program was the local premiere of an oratorio by his old friend and Carnegie Composer Chair, Philip Glass, on hand in suit and tie to take a proper bow before a cheering audience (including a number of Californians)."